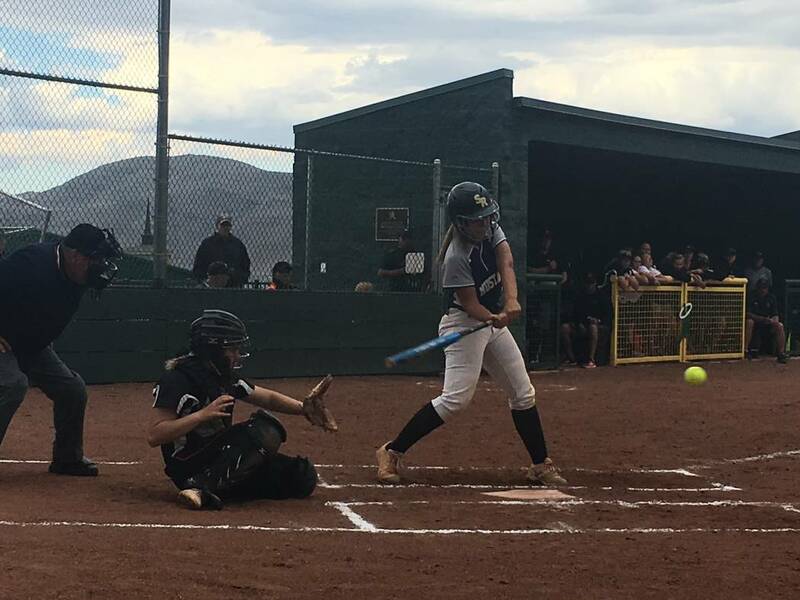 The Mustangs allowed three home runs and dropped a 5-1 decision to Douglas on Friday in the losers bracket final of the Class 4A state softball tournament at Bishop Manogue High School. Shadow Ridge's Caitlyn Covington swings at a pitch from Douglas in a Class 4A state softball tournament game at Bishop Manogue High School in Reno on May 18, 2018. Justin Emerson/Las Vegas Review-Journal. Shadow Ridge's Mia Voges pitches to a Douglas hitter in a Class 4A state softball tournament game at Bishop Manogue High School in Reno on May 18, 2018. Justin Emerson/Las Vegas Review-Journal. Shadow Ridge players react to a home run against Douglas in a Class 4A state softball tournament game at Bishop Manogue High School in Reno on May 18, 2018. Justin Emerson/Las Vegas Review-Journal. 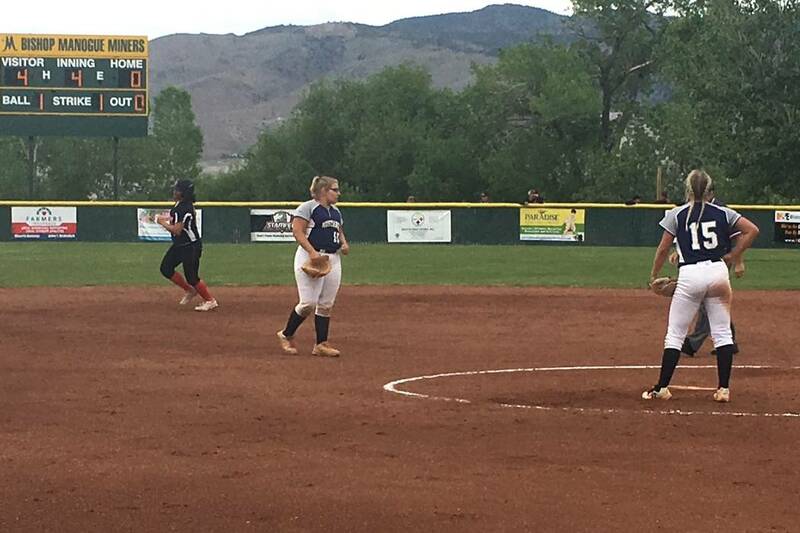 RENO — Shadow Ridge hit five homers in two games going into Friday’s elimination game. The fences at Bishop Manogue High School were short and close, a recipe for a home run derby. But Shadow Ridge was not the team that took advantage. 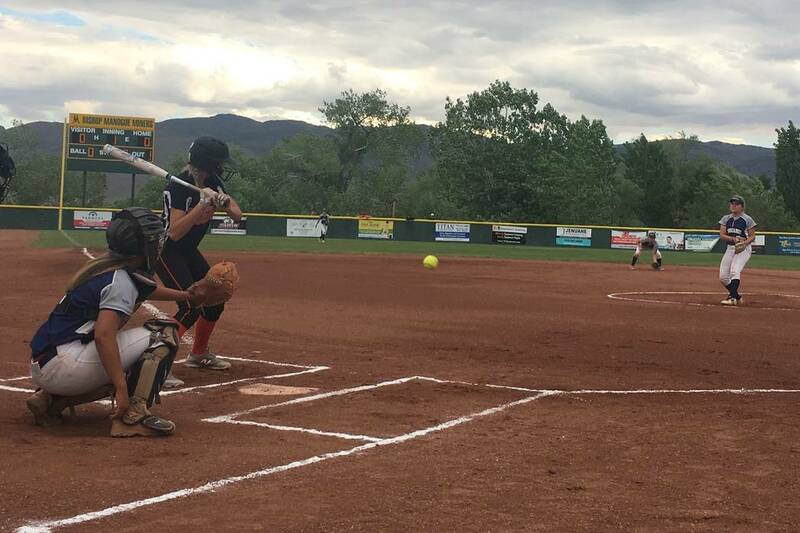 The Mustangs allowed three home runs and dropped a 5-1 decision to Douglas in the losers bracket final of the Class 4A state softball tournament. Douglas will meet Spanish Springs at 10 a.m. Saturday for the championship, with a second game, if necessary, at 12:30 p.m. The Nos. 4, 5 and 6 hitters did all the damage for Douglas (24-12-1), starting with five-hole hitter Casey Peck’s three-run homer in the first. Cleanup hitter Chloie Pratt and No. 6 hitter Alyssa Smokey hit solo homers in the fourth. Shadow Ridge (28-12) couldn’t get timely hitting. The Mustangs scored in the fifth when Shea Clements came home from first on Caitlyn Covington’s double, but they left nine on base and were 1-for-9 with runners in scoring position. Shadow Ridge 12, Basic 10 — The Mustangs used a five-run sixth inning to grab the lead and eliminate the Wolves (26-13). 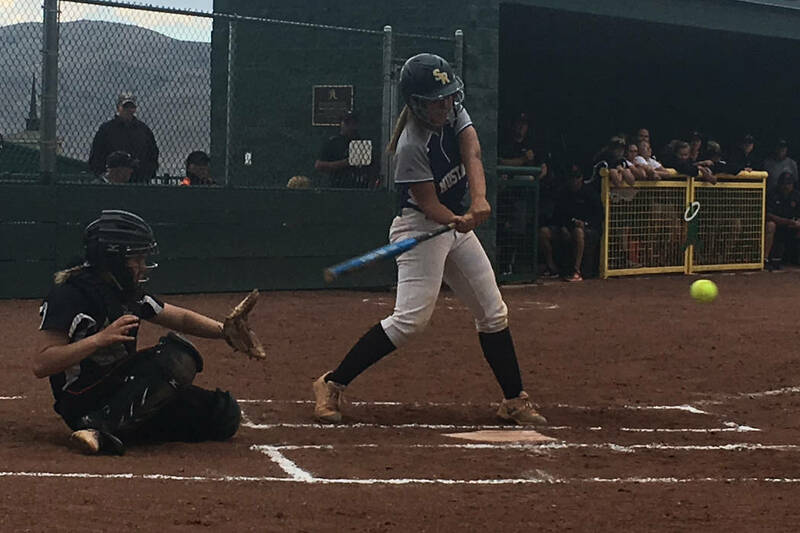 Shadow Ridge started the game off with a two-run homer off Covington’s bat in the first, which Basic answered with a two-run homer from Mikayla Berg. The Mustangs added one in the second and four in the third off three RBI singles, but that lead would not hold either. Shelby Basso had a two-run single for Basic in the third, Alyssa Ferguson homered in the fourth, and Hannah Barr singled home the tying run in the fifth. Basic took its first lead of the game at 10-7 on Sanoe Helenihi’s three-run homer in the fifth, but this time it was the Mustangs’ turn to rally. Covington singled to start the Shadow Ridge sixth, and an Alyssa Stanley walk put two runners on. After a pop-up, Merisa Osborn took the first pitch she saw and deposited it inches over the left-field wall to tie the game at 10-10. But Shadow Ridge wasn’t done. Mia Voges followed up the homer with a single, Sydney Morgan singled and Schultz lined a two-out, two-RBI single that made it 12-10. Basic would only get two baserunners the rest of the game, and finished its season 26-13.